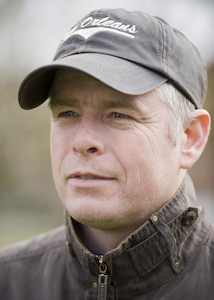 STUART Williams has recorded well over 700 winners since becoming a licensed racehorse trainer in 1994. Stuart is widely respected as a shrewd trainer within the racing industry and also received the highest recognition from his peers when he was voted President of the National Trainers Federation with his inauguration in February 2011. 2018 has proved to be our best year numerically, so far, when we managed to reach 58 winners!! , however 2017 was not far behind and this has been a huge achievement for both the team and Owners who have as always been so supportive. Stuart has enjoyed success at some of racing’s biggest fixtures – including Glorious Goodwood, Ascot, Derby Day, Cambridgeshire meeting, Ebor meeting and Eclipse day – establishing himself an outstanding reputation for success from inexpensive horses. Stuart has been involved in racing since he was a child. His father rode as a jockey, and for many years Stuart hoped to follow in his footsteps and race ride. After growing too tall Stuart worked for several trainers in Newmarket, including Bill O’Gorman, Ron Sheather and Alex Scott, as well as Bart Cummings in Australia, and has even spent time working in France and Norway en route to becoming a trainer. He took out a licence in 1993, training from Graham Lodge initially before moving to Trillium Place. His first winner was Greenback at Lingfield on March 5th 1993, and he has since gone on to train winners at all the Flat racecourses in Britain. Stuart moved to Diomed Stables in 2004 from which point on he has sent out a constant supply of winners that happily shows no signs of stopping.